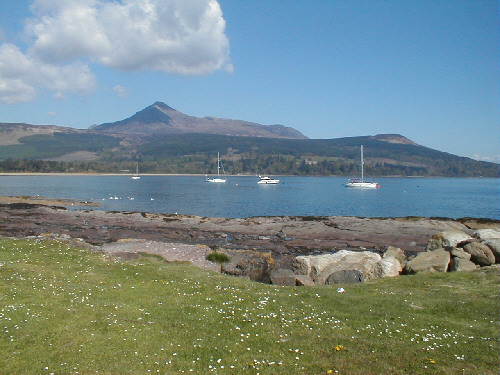 The shoreline is a fairly narrow band of mixed grass, sand, rock and shingle looking out over Brodick Bay. Dominating Brodick is Goatfell, Arran's highest peak at 874m (and, strangely, one of its easiest to climb). The natural amphitheatre which this gives can also be clearly seen in the picture of the bay.